The Delhi Medical Association contests the Delhi government’s claim that the licence of Shalimar Bagh's Max Hospital was cancelled not only because of the offence of pronouncing a living child dead but because of a series of violations. The doctors’ association said that the government is now trying to justify its arbitrary decision of cancelling the licence of the hospital by cobbling up a rationale as an afterthought. "If the hospital defied a number of laws then why didn't the government take measures against it at the very first instance of a violation. Why did the government wait so long for a serious incident to take place," asked Dr VK Malhotra, president, DMA. Adhering to the earlier stance of DMA on the issue, Malhotra further said that the DMA is not opposed to taking action against an erring hospital, but that action had to be as per the law. "Our laws have provisions to deal with erring hospitals. As per the law, a hospital can be held responsible for an offence only after an enquiry is conducted by a statutory body like the Delhi Medical Council. But taking punitive measures against a hospital before any such enquiry report comes out, amounts to by-passing the statutory body," he said. The Delhi Medical Council is conducting an enquiry on the allegation that Max Hospital in Shalimar Bagh declared a living child dead. The enquiry report is awaited. Towing Chief Minister Arvind Kejriwal’s line AAP leader Gopal Rai on Monday had said that the said hospital violated a series of norms even before the allegation of declaring a living child dead surfaced. The decision to cancel its licence has been taken on the basis of the repeated violation of norms. "As per law, the Max Hospital has to reserve a certain number of beds for patients from economically weaker sections. The Delhi government has the responsibility to ensure that this law is followed but the hospital failed to provide this service as required by law," he said. In 2007, the Delhi High Court had ordered the hospitals which had received an allotment of land from the Delhi government to reserve 10 percent of beds for free treatment to economically weaker section. There are 45 hospitals in Delhi under this category. 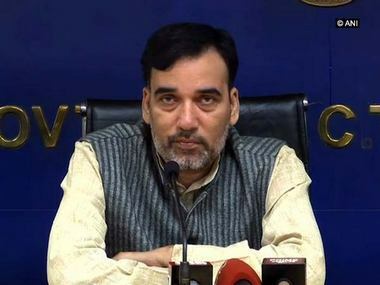 Gopal Rai, who is also a minister in the Delhi government said that the hospital also defied a state government order to arrange beds for dengue and chikungunya patients. "Orders were issued to private hospitals to make separate bed arrangements so that the challenge of the epidemic could be met. But that order too was defied by the hospital," he said. The DMA which had earlier threatened to call for a strike of doctors so as to effect a shut down of government and private hospitals in protest of the Delhi government’s decision to cancel Max Hospital's licence, has been asked by its parent body the Indian Medical Association not to take such a decision as it will cause tremendous hardship among the patients. 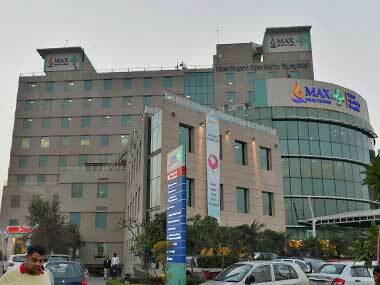 The IMA has maintained a safe distance from the Max Hospital controversy. Dr KK Agarwal, national president of the IMA said on Monday, "The Delhi Medical Council is still conducting an enquiry on the allegations. Let the enquiry committee prepare the report. We should not jump to any conclusion before it." When asked whether the Delhi government’s move to cancel the licence of the hospital was in conformity with the prevailing laws, he said, "The government can pass an order to cancel the hospital's licence. The hospital has to provide a satisfactory reply to the queries raised by the government within a month. If it can provide satisfactory answers it will continue to be in business,” he said. But Ashok Agarwal, an advocate in the Delhi High Court and an expert in healthcare related laws told Firstpost that the Delhi government has stepped outside its legal jurisdiction while ordering to cancel the licence of the hospital. He says that no law permits the Delhi government to suspend the licence of the hospital understated grounds. "Several cases can be filed with regards to this incident. But the government, in no case, can legally cancel the licence," he said. He further added that a case of criminal negligence can be filed by the aggrieved parents against the hospital which would come under the jurisdication of the police department and the judiciary. Similarly, if a case is filed on the grounds of deficient service to the patient, then it will be heard by consumer courts. If a case is filed against the doctor’s misconduct then it will be governed by the Medical Council of India. "Here, the government has no business in cancelling the licence. The government can suspend its licence only on the grounds on which it was issued. A licence to a hospital is issued on the basis of its infrastructure. But no question of infrastructural deficiency on the part of the hospital has occurred here," he said. 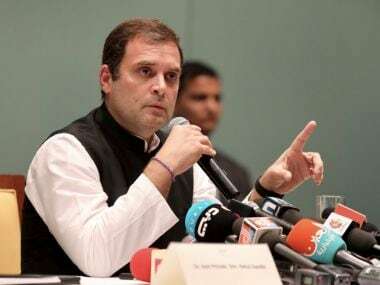 Interestingly, Agarwal who is also a member of the Delhi High Court-appointed committee to ensure reservation of services to patients from economically weaker section(EWS) in private hospitals, told Firstpost that there is no major violation of EWS norms on the part of the hospital. "There are 25 beds reserved for EWS patients in Max Hospital. Apart from that EWS patients get free outdoor patients service, free medicines, and dialysis facility. 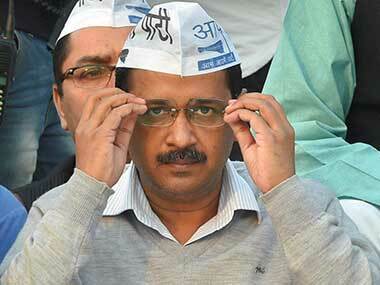 So, the facilities provided by the hospital was as prescribed by the Delhi High Court,” he said. He further informed that even if there were any violations, they were minor in nature and do not call for harsh punitive actions. He says that the cancelling of the hospital's licence has caused much distress for the patients who were undergoing treatment there. Anita Rani, a patient living in Jahangirpuri, who was scheduled to undergo an operation on 12 December told Firstpost that she is at a loss about what to do. "I have been suffering from a problem in the uterus for the last five years. After much hardships, I somehow managed to register my name for the operation in the EWS category. But now, the hospital says that it cannot continue my treatment as its licence has been cancelled. I don’t know what to do now,” she said. The incident of wrongly declaring a living child dead resulted in the Delhi government’s decision to cancel the licence of the hospital. The child was born on 30 November which the hospital declared dead and handed over its body to the parents in a packet. The child was found alive while being taken for the last rites. It later died on 6 December while undergoing treatment in another hospital.